NEW PRICE! You will be amazed as you enter this well-maintained pool home and experience the view of the Stoneybrook West golf course. One-story, 3 bedroom/2 bath 1,614 square foot golf-front home has open floor plan with large kitchen overlooking large family room/dining area with patio doors leading to covered, screened lanai and pool. Beyond the screen-enclosed pool area is a landscaped level backyard with views of golf course at the 4th tee box. Wood-look ceramic plank tiles in foyer, dining area and family room; carpeting in bedrooms recently replaced. US Homes Augusta's split floor plan has master bedroom w/sitting area and adjacent bath on 1 side, and 2 bedrooms & a bathroom on the other side of the home. Master bathroom has double-sink vanity, garden tub, separate shower, water closet and linen closet. New HVAC with air filtration system. 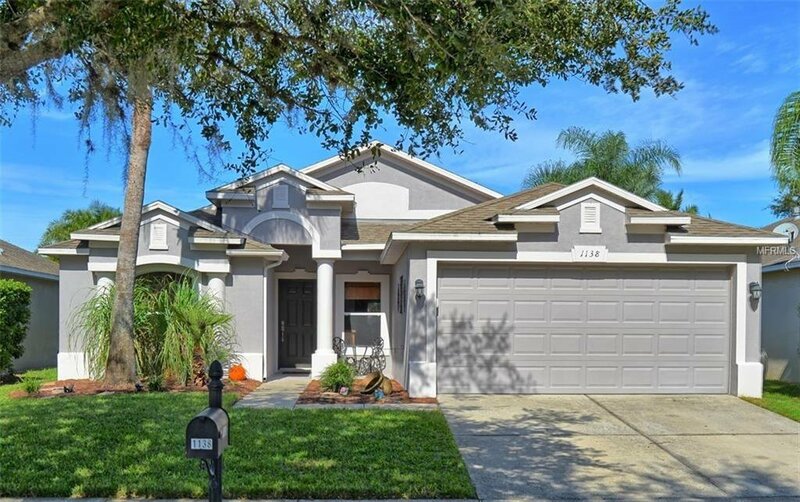 In well-maintained 24/7 guard-gated community of Stoneybrook West located in desirable Winter Garden. Community clubhouse,pool,playground,sport courts,fitness center,several manicured green spaces,and fishing pier on 212-acre lake. Near shopping and major highways; easily accessible to Orlando airport, downtown Orlando, hospitals and tourist attractions. Listing courtesy of BHHS FLORIDA REALTY. Selling Office: URBAN SQUARE REALTY INC.